Blind Tiger Coffee Co. finally opened a week ago and of course I had to check it out. 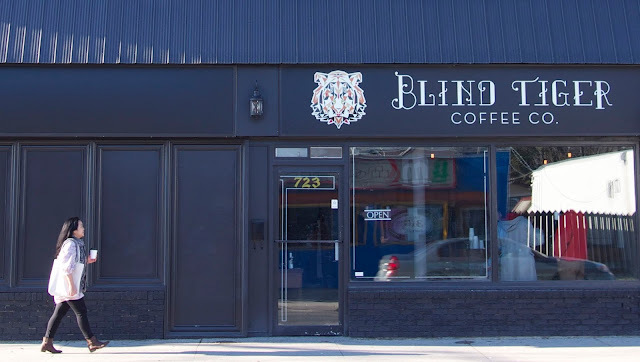 Side story: when I went here I assumed they had a seating area for me drink my coffee but unfortunately they didn't (yet). Lucky for me though, the baristas were so nice to show me not only around the cafe but more impressively, the hidden back restaurant. 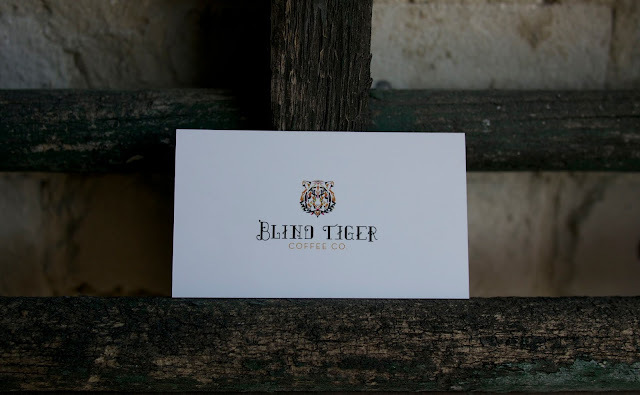 More popularly known as a speakeasy, Blind Tiger's concept is to be a coffee shop by day and through a hidden door, it becomes an edgy and cool lounge at night. 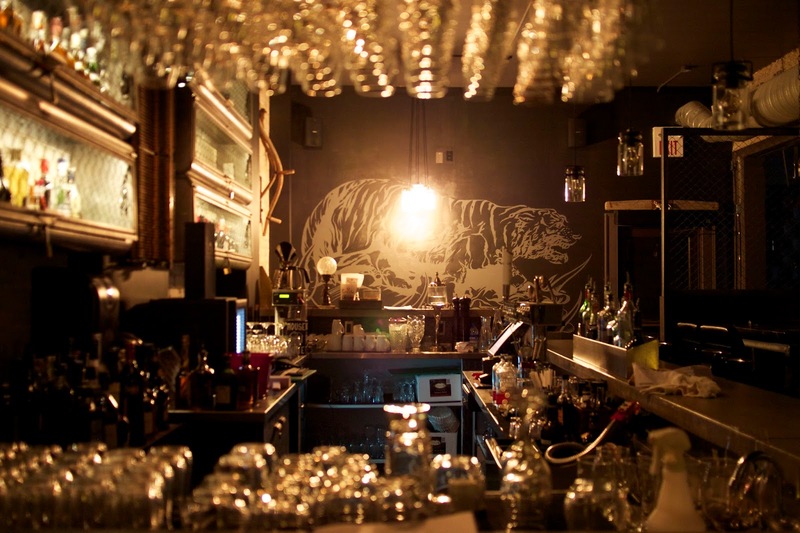 I have yet to try the whole speakeasy experience but Blind Tiger looks promising and is definitely a great addition to the Winnipeg dining scene. Blind Tiger sounds like an awesome coffee shop! That's so nice of the baristas to show you around. By the way, you're looking super cute in that outfit. I love that vest! That's so cool that the coffee shop becomes a lounge by night! What a neat concept! 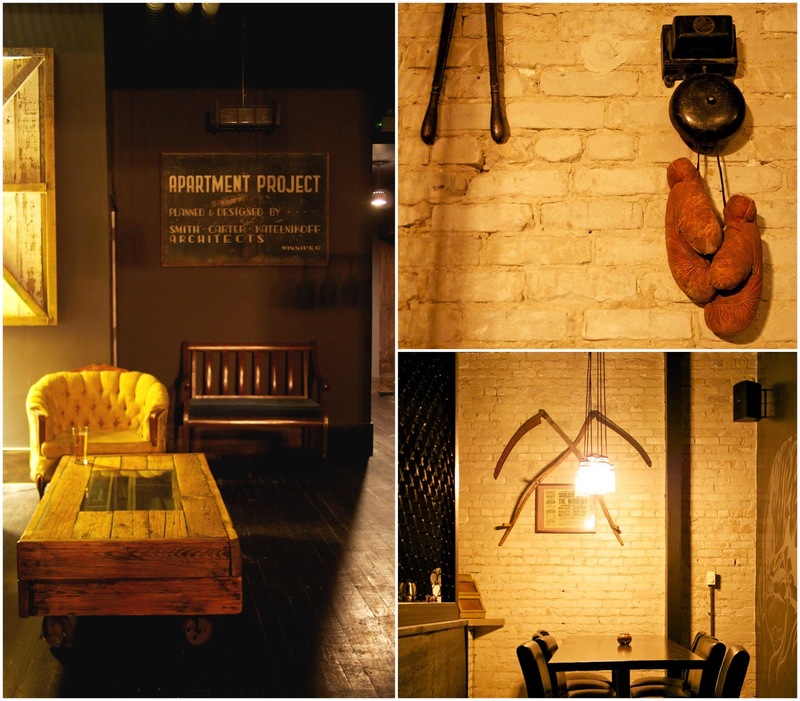 Love the "underground" concept of the restaurant! That place looks so cool Sybil!!! I bet it smells so good too!!!! That vest is so cute on you!! Love faux fur on you as well, Sybil! That vest is my favorite! It looks like an interesting place with a rustic touch. Would be interesting to see the food that they serve. 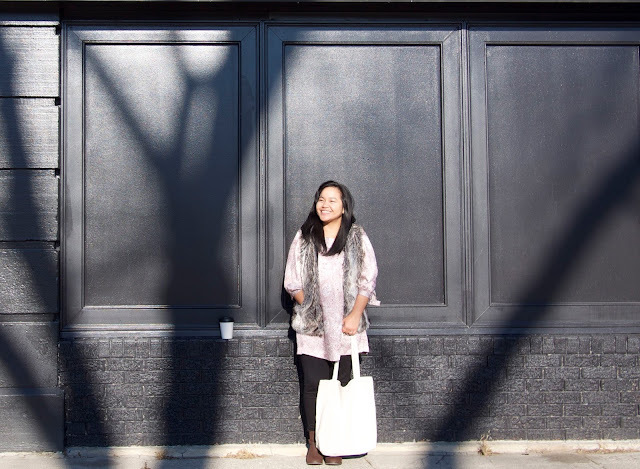 What a cute layering look and that coffee place looks like something else! Amazing shots and places!! You're marvellous darling! Stunning outfit! Love the grey colors together. Nice place and stunning outfit!! Great coffee shop. I love that vintage cash register. It's gorgeous! The decor of this place looks fantastic and I really like your vest! First off - I am loving your casual and chic outfit. That vest is amazing!! 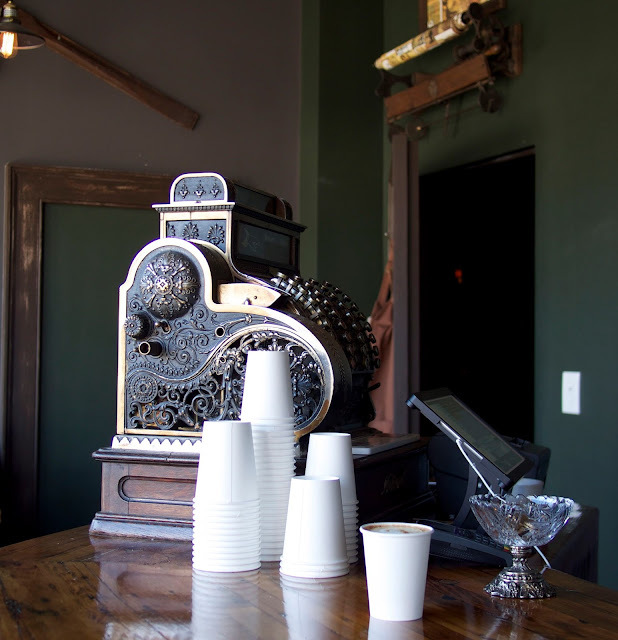 Secondly, that coffee shop is too cute. Their decour and logo are too cool! You combined your fur vest so beautiful! Love that fur vest and the location is so pretty! The place looks really nice, love the decor. I love your vest. The speakeasy lounge aspect sounds wonderful. I would definitely have to check that out. Ooh this sounds so innovative and cool - love the idea of being a cute, vintage coffee shop in the day and then having a secret lounge bar out back!! 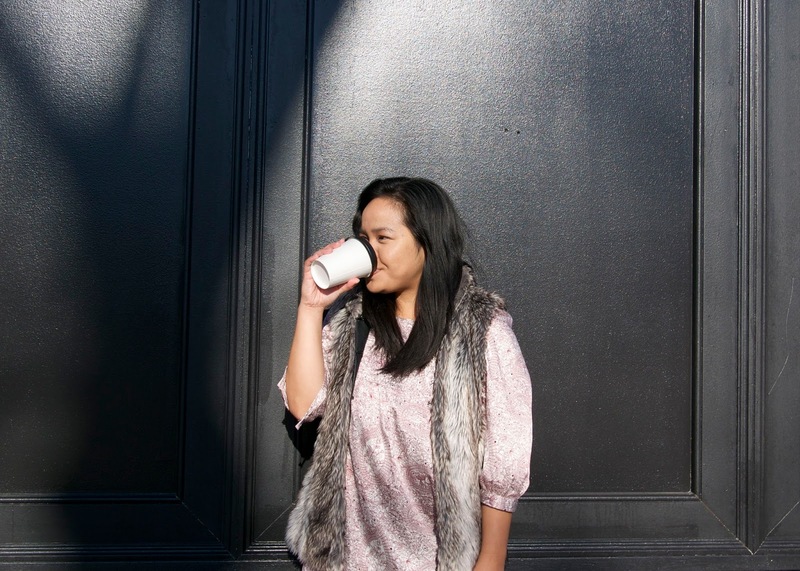 I really like the photo of you walking with your coffee and the place in the background btw! Aww you look sooo cozy & lovely! Your vest is beautiful on you hon. Loving the decor of the place, really gorg! Each little item is lovely. Looking pretty and loving the vest. This place looks great. I love the old cash register. Your outfit is so cute. I love the fur vest. I always love discovering new coffee shops! This one looks so lovely. Your autumn outfit is too cute as well -- love the vest! Digging the fur vest, lady! This seems like such a lovely place. You look really great in the photos and I'm loving the vest. Looks like an amazing spot to get coffee! Amazing post and the look! Wow, that is so awesome! 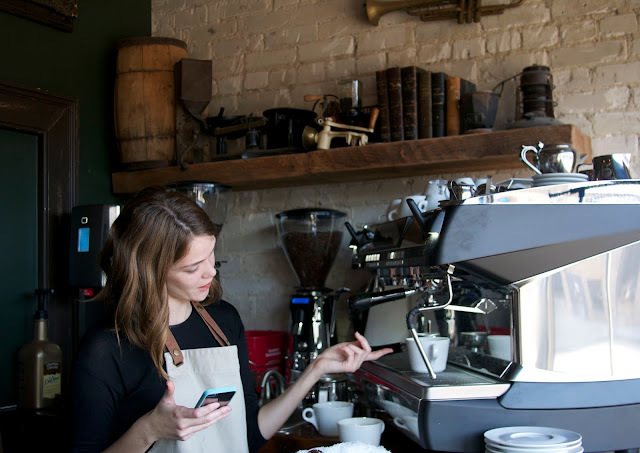 I love the idea of a coffee shop by day and lounge by night! that place looks really trendy and cool too! I love your outfit, that vest is beautiful! What a great outfit! I love the fur vest with this top. 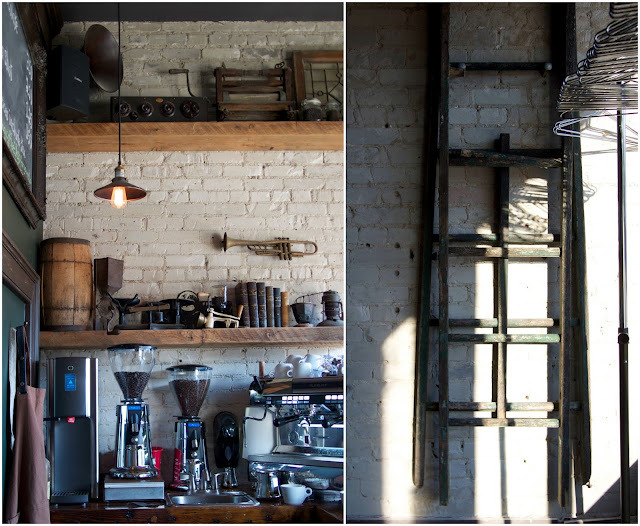 And how amazing is this coffee shop?! I love the vintage aspects to the location. The vest looks amazing on you. 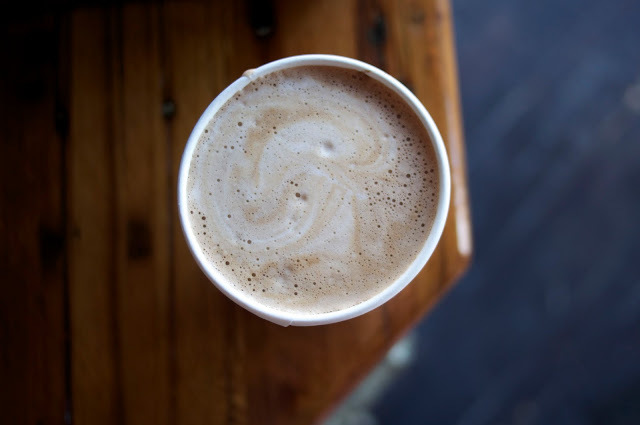 I'm a coffee addict so I especially love the pictures and wish I had some to sip on right now. you look great! I love your fur vest. Love your furry vest you're rocking! Looks like an amazing coffee shop! Lovely outfit as well, that fur vest is great! Great pictures! Also, your outfit is a flawless fall look! 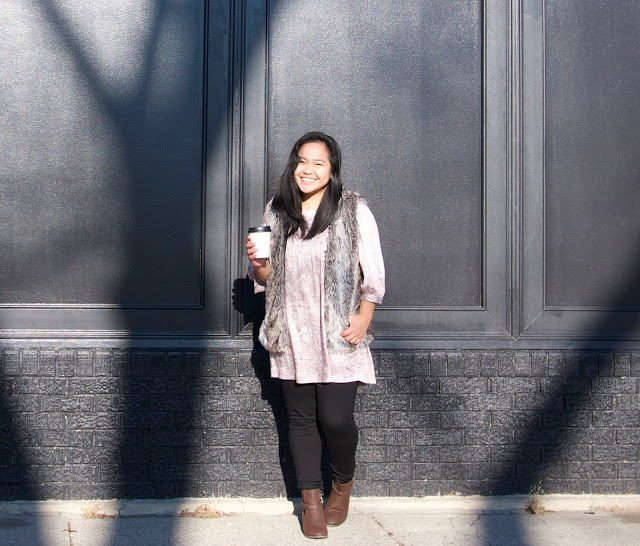 Perfect vest for a crisp fall day! 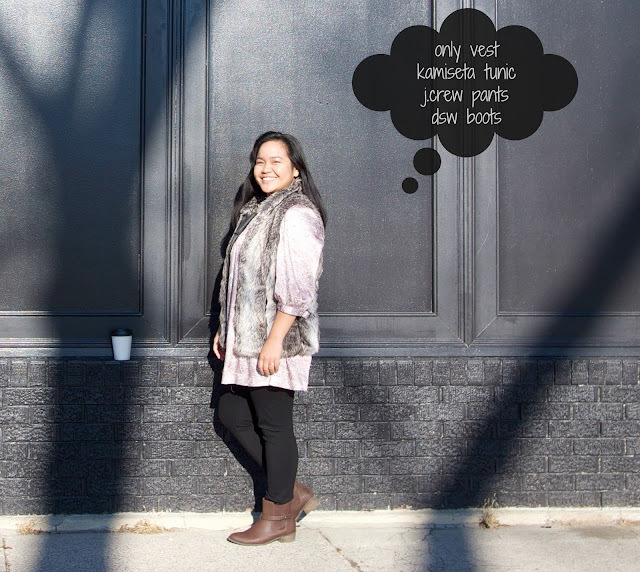 Your vest is amazing and that place looks like a dream! I am so in love with your outfit and the cafe! Not only they are both amazing, but they have some sort of similar spirit! Nice pictures and cool outfit! Your outfit is great! The same as this place! The coffee looks yum! 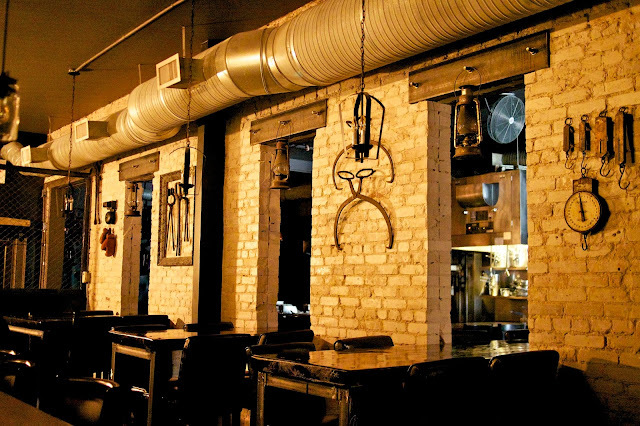 Must try when I am in Winnipeg next month...thanks for the review! 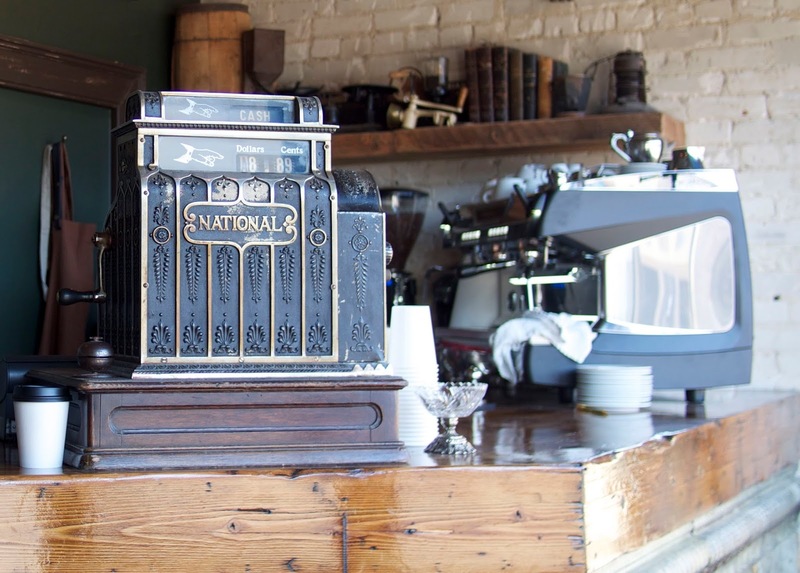 Wow that coffee shop looks so good, I love the old school cash register.